The Tremco Dymonic 100 600mL White Polyurethane Sealant is a high performance, medium-modulus, low-VOC, UV stable, high-movement, single-component, non-sag polyurethane sealant. 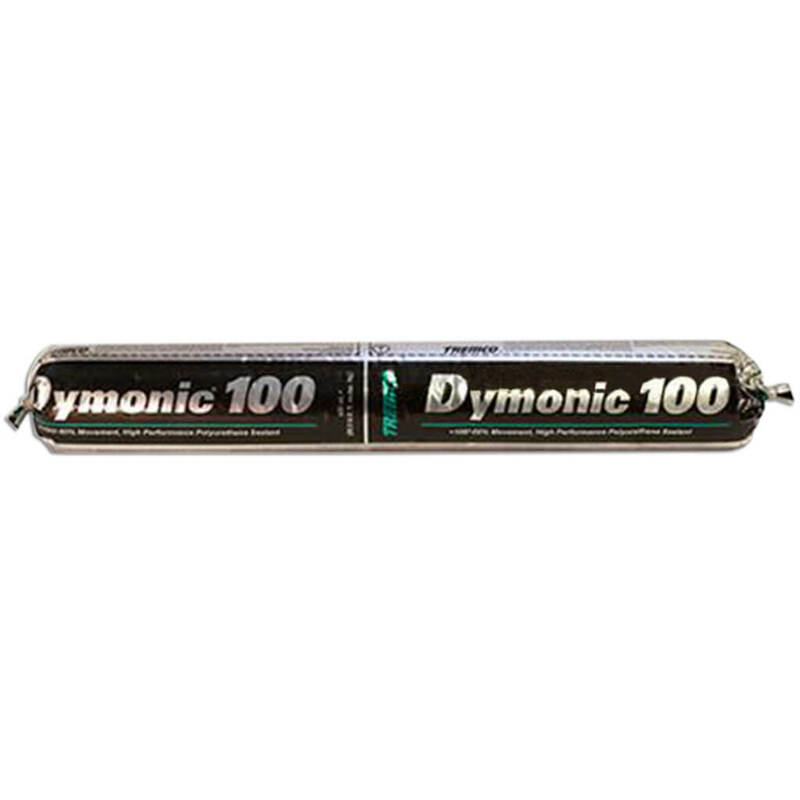 Dymonic 100 is a durable, flexible sealant that offers excellent performance in moving joints and exhibits tenacious adhesion once fully cured. Typical applications for Dymonic 100 include expansion and control joints, precast concrete panel joints, perimeter caulking (windows, doors, and panels), aluminum, masonry and vinyl siding. Dymonic 100 is also an excellent choice as a fluid applied flashing material in rough opening perimeters for fenestration/window, door and curtain wall applications.